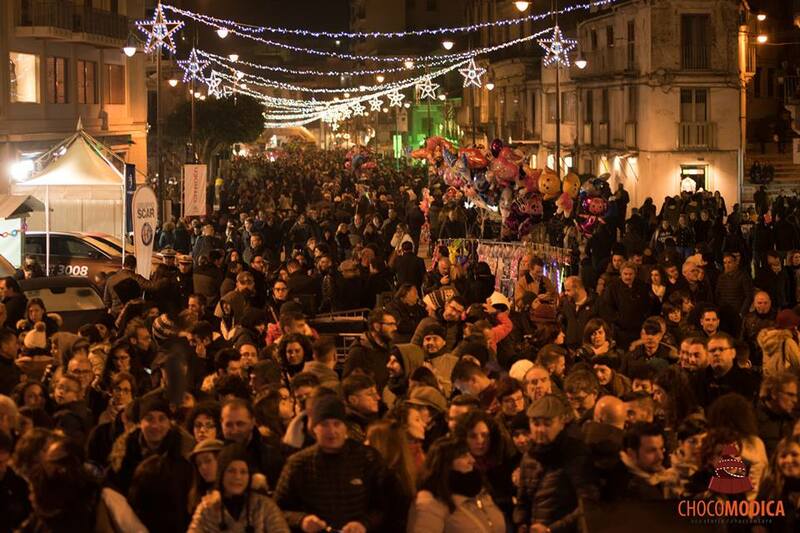 The town of Modica will host the ChocoModica, also this year. This is the festival of the most known Sicilian chocolate and it is one of the most awaited events in Sicily. This year, the festival is going to take place from Thursday 6th December to Sunday 9th December 2018, during the feast of the Immaculate Conception. The Europian Union recognized the Modican chocolate as an authentic PGI product. Moreover, it has very ancient origins. Spanish people introduced it in Sicily a very long time ago, but they inherited this specialty from Aztec population. This kind of chocolate is produced differently from the classic chocolate. In fact, it is cold processed, together with spices such as cinnamon, orange or chilli, and this kind of production gives it an authentic and special flavour. Surely the Modican chocolate has a real world-wide fame, not only now that it has been recognized as a PGI product, but also in the past: for example, it was often mentioned by the Sicilian author Leonardo Sciascia. Now, in Italy its fame is compared to the one of the chocolate from Perugia and Turin. The authentic and inimitable is just one of the reaons of its fame. Furthermore, Modican chocolate is the real symbol of this ancient town. The Modicans are particularly proud of it, since ancient times. The Protection Consortium of the Modican chocolate declares, moreover, that it is rich in healthy elements such as antioxidants and vitamins A and E. Therefore, in the right quantities the chocolate of Modica is a delicious snack, which we can eat sometimes without exaggerating. This is not a countryside festival as many others: ChocoModica also includes conferences, events, games, concerts, workshops and guided tours of the city of Modica. There won’t be only tourists and visitors, but also chocolate producers who will explain about the secrets of artisan production, experts in the field and historians. Of course, there will be tastings and various stands where people can buy typical chocolate products. Therefore, the event is the perfect opportunity to learn, spend time eating excellent chocolate and visit the town of Modica, all surrounded by the Christmas atmosphere. Modica (in the province of Ragusa) is one of the oldest Sicilian towns. It dates back, in fact, to the Neolithic Age and as in all Sicilian villages, its tradition has been influenced a lot by the various dominations that have affected the Sicilian territory. For this reason, Modica is an art city. In Modica you can find many churches, from those dating back to the Middle Ages to Baroque ones. There are also castles and ancient palaces. Not surprisingly, a lot of Modican monuments are part of the UNESCO World Heritage List, such as the Cathedral of San Giorgio. ChocoModica could be the right opportunity to visit this ancient town: it is worth it. The festival will be held from 10:00 am until late in the evening and the admission is free of charge. If you want to join ChocoModica 2018, you can reach Modica by bus directly from Sicily, through regional trains, or you could choose a transfer service. If you love chocolate, if you are curious to taste this authentic goodness and if you love art cities, visiting Modica during the chocolate festival, it’s for you.